Last week, the city of Oakland was hit was tragedy as a sudden fire at the Ghost Ship, a warehouse where a concert was being held, claimed the lives of 36 while injuring countless others. 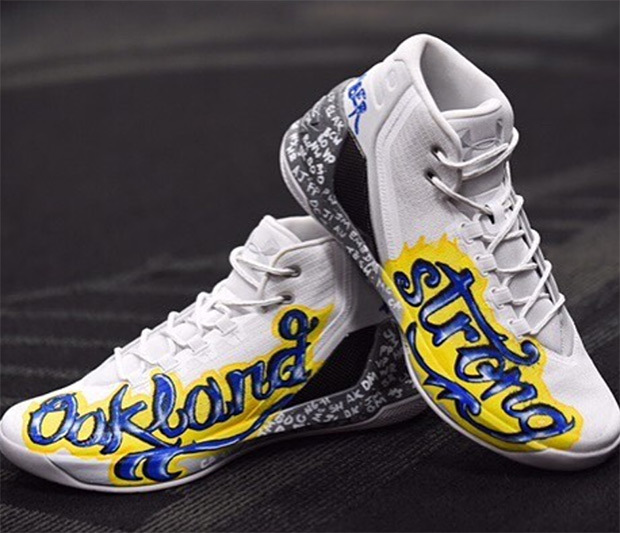 Tonight, against the New York Knicks, Steph Curry will wear a custom pair of the Curry 3 that features “Oakland Strong” illustrations as well as the names of the victims written on the shoes. 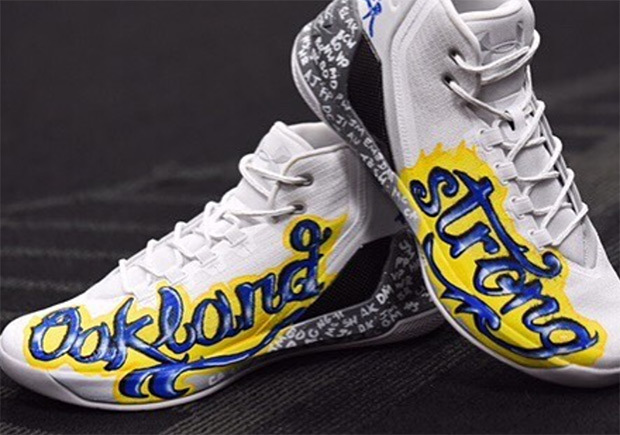 After the game, he will auction them off and send all the proceeds, along with the donations that the Warriors organization already pledged, to the You Caring fundraising page. The funds will be used to assist in the relief effort for the families of the victims. To donate now, check out the official You Caring page.